President Trump says he is "not satisfied" with Saudi Arabia's response to the killing of Jamal Khashoggi, days after the country admitted the Washington Post columnist died in its consulate in Istanbul, but claimed it was part of an interrogation. "I am not satisfied with what I've heard," Trump told reporters at the White House Monday, adding that the Saudis must hurry up their investigation after they said they may need a month: "That's a long time. There's no reason for that much. Be faster." Seventeen days after the journalist and royal insider went missing in Turkey, Saudi Arabia admitted to culpability for Khashoggi's death on Friday. 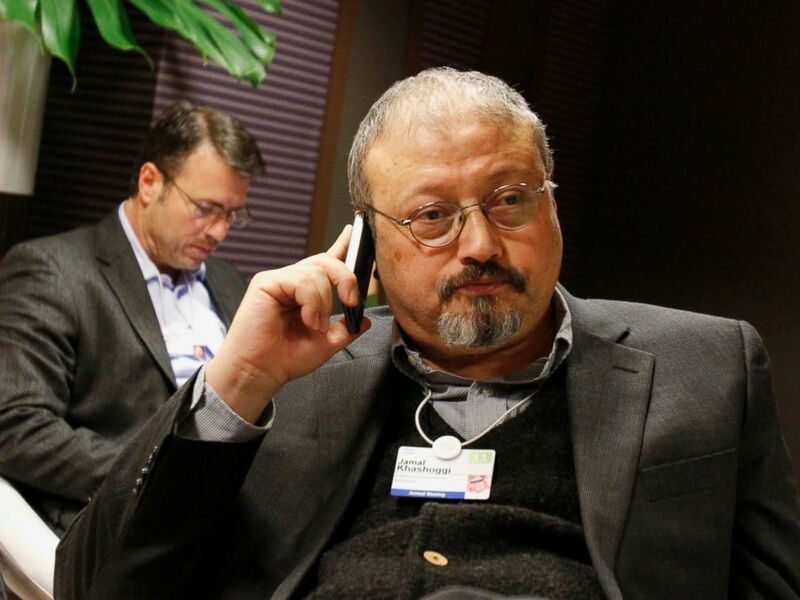 But they said it was part of an intelligence operation to convince Khashoggi to return home to the kingdom that was not authorized by senior Saudi leadership and went wrong after Khashoggi tried to leave, was put in a choke-hold, and died. "We have people over in Saudi Arabia now. We have top intelligence people in Turkey, and we're going to see what we have. I'll know a lot tomorrow," he said, adding he had spoken to Crown Prince Mohammed bin Salman again, the young leader said to be the real power behind the throne. 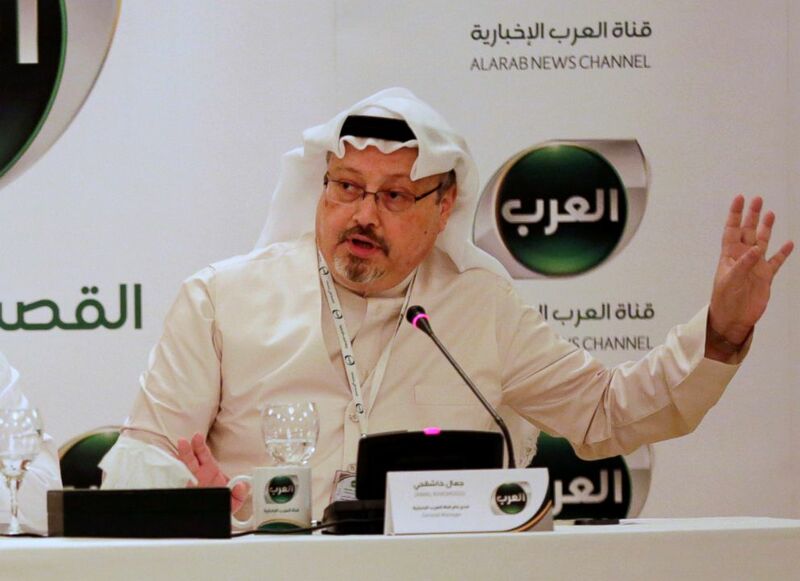 He's suspected to be the one responsible for launching the plot against Khashoggi, although Saudi Arabia strongly denies that. The president would not say whether he believes those denials in an interview with USA Today, but added he does still think it was "a plot gone awry." "I don't want to lose all of that investment that's being made in our country. I don't want to lose a million jobs. I don't want to lose a $110 billion in terms of investment," he said. Trump's son-in-law and senior adviser, Jared Kushner, who has a close relationship with the Crown Prince, issued the same caution Monday, saying the administration was "in the fact-finding phase" still. "We're obviously getting as many facts as we can from the different places, and then we'll determine which facts are credible, and then after that the president and the secretary of state will make a determination as to what we deem to be credible and what actions we think we should take," he said during a forum hosted by CNN. But he too stressed being "focused on what's good for America, what are our strategic interests." To that end, Treasury Secretary Steven Mnuchin met with the Crown Prince Monday. While he canceled his participation in a major Saudi investment forum, he still flew to the capital Riyadh to discuss "combating terrorist financing, implementing Iran sanctions, Saudi economic issues and the Khashoggi investigation," according to his spokesperson Tony Sayegh. American diplomacy came as Turkey ramped up its investigation Monday, searching a car that belongs to the Saudi consulate, but was found in an Istanbul parking lot. CNN also aired surveillance video that Turkish authorities said showed one of the key suspects dressed in Khashoggi's clothes leaving the back of the consulate shortly after he was killed. The suspect is reportedly now in Saudi custody. In the first official comments from the Turkish government, Erdogan said he will reveal the details of Turkey's investigation into the plot against Khashoggi: "It will be revealed in full nakedness." Erdogan's spokesperson Ibrahim Kalin said Monday that while Turkey's "ultimate aim, duty, and responsibility is to enlighten the incident in all its parts," Saudi Arabia remains "an important country for us. It is a brotherly and friendly country... Of course, we would not want this to be harmed." But in what could be a tease of Erdogan's speech, his political party's spokesperson was much tougher and called Saudi Arabia's operation "a brutally planned [killing] and efforts were made to cover it up. When we look at it through this frame, it's a very complicated murder." ABC News's Ben Gittleson contributed to this report.